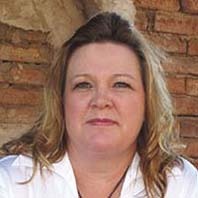 Kristie was born in Enid, Oklahoma. She moved to Riverside, California with her parents until they moved back to Oklahoma where she lived until she was 22yrs old. She attended the Church of God where her Great Uncle was her Pastor. There she worked in community outreaches, the youth, children’s ministry, choir and Bible study. She gave her heart to God at the age of 16. It was then she knew God had something special for her but didn’t know exactly what that was. Kristie is a single Mom of two children, her daughter Karinda and her son Jacob. She is the proud Grandmother of two grandchildren Joeshia and Derreck. Kristie has attended Living Word Bible Church for over 19 years. She has been in Leadership at Living Word Bible Church since 2008. She has worked Drama Team, Service of Ministry, Children’s Ministry, Women’s and Single’s Ministry. She has also been a Prayer Partner and Intercessory Leader. Kristie has ministered to people through her work in the medical field for the last 19 years knowing that God has called her with healing in her hands. Kristie knows that her Ministry is Healing. Her heart is to reach out to those who are hurting to let them know they are never alone and God is there for them. God has called her to not only bring healing to the hurt but to also bring restoration to relationships.